Buying your child’s gifts for Christmas can be very overwhelming. The advertisements on the television begin to multiple and walking into a toy store becomes an experience as the crowds build up and toys are looking at you from every angle, it doesn’t help that the time between now and Santa is ever decreasing! It can be hard to know what toy to get your child/children. But it is also a great opportunity to give your child gifts that your child will get great enjoyment out of, but at the same time, are toys/games that will enhance your child’s speech and language development. Here are some ideas from us, which we think will be of great benefit for children this year. Some of these ideas are for little children, while others are for older children. Why is this item being recommended? 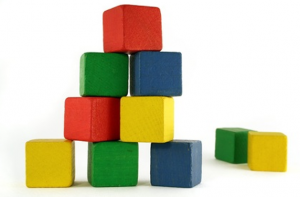 Building with blocks is a brilliant language building activity. Not only does it provide lots of opportunities for pretend play, it involves social interaction (turn taking, problem solving), and basic concepts (tall and short, big and small, more and less). There are lots of great block sets out there, so when deciding which one is the best one to get, think about your own child (e.g. bigger, colourful blocks may be better suited for young children). As an added bonus here, no batteries are required – ever!! Who needs buzz light-year when we have Mr. Potato Head? As any speech and language therapist will tell you, Mr. Potato Head is the staple, go-to toy on their toy shelf; he is our Toy Story hero. Mr. Potato Head is a toy that I myself once played with as a child, and I now see many children playing with, and getting great enjoyment from. Mr. Potato Head provides endless language opportunities to be capitalised on if your child’s language development is delayed, from body parts, emotions, clothing, and size to comparisons, prepositions and more. Mr. 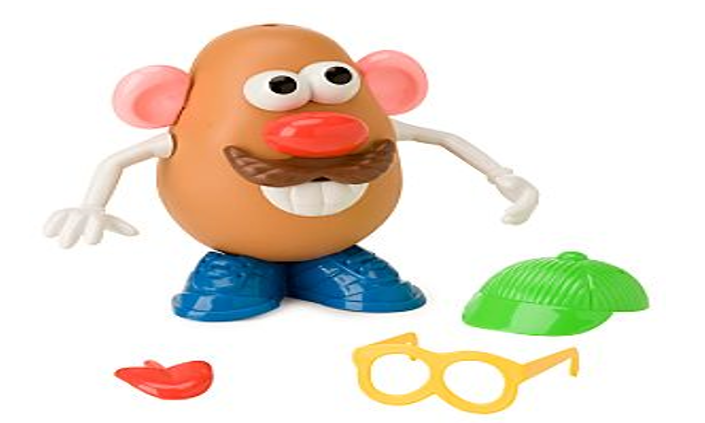 Potato Head is a lovely toy that you and your child can play with together, providing your child with the social interaction that will foster and encourage their language development. 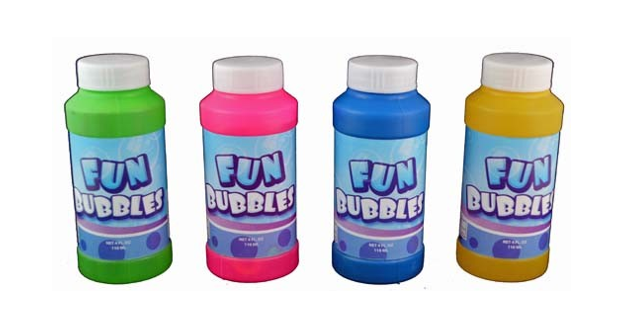 Simple and extremely fun – bubbles are a great stocking filler that children will love and get endless hours of fun from. If your child is having difficulty making eye contact, bubbles are an interactive fun way of encouraging your child to give you eye contact in a social situation. When playing with the bubbles, get down to your child’s level, whether this means sitting, kneeling or standing. To start with, blow the bubbles a few times so that your child is aware of what happens (someone needs to open the bubbles, blow the plastic bubble stick and bubbles are created). Then pull back! That is to say, open the bubbles, put the bubble stick to your mouth, take a deep breath in as if you are going to blow the bubbles and simply wait – wait to see what your child does. If your child is at a stage where eye contact is fleeting, your goal is to get your child to look at your eyes and once he/she does so, you blow the bubbles immediately. Through this the child is learning that if they want you to blow the bubbles they must look at you. Eye contact is only the beginning of what you can use the bubbles for to help your child’s development. If you are getting consistent eye contact from your child, wait for him or her to make a sound indicating that they are looking for the bubbles to be blown. Like the eye contact, once a sound is made by your child, blow the bubbles. 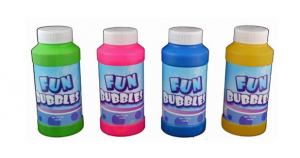 Bubbles are great fun and can be used indoors or outdoors and are enjoyable for all involved. You can also adapt this for the sounds you are working on in therapy or for words like “blow”, “more”, etc. Description of the item: The games that fall under this bracket are those that require multiple pieces in order to play the game. The above games are simply suggestions that I have found to work well. 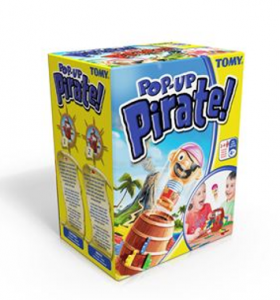 Any game where a ‘token’ can be collected during your child’s speech and language therapy practice will work just as well. For the parents out there that are working with their child on his or her speech production, I know how repetitive and hard it can be to keep your child’s motivation going through numerous productions of sounds. That is why games such as the ones above can be extremely motivating for your child. Each time your child produces the sound that you are trying to elicit, you hand them a token. A token is the object that the child is collecting; it is required to play the game. Examples include: the white body parts in operations, or the horse’s objects in Buckaroo. There is also no rule that limits these games to be used solely with speech production; they are a great motivator for other work as well. A team board game where the teams are competing against each other to be the first team round to the finish segment on the board. Progress is made by correctly guessing what your team mates are describing. 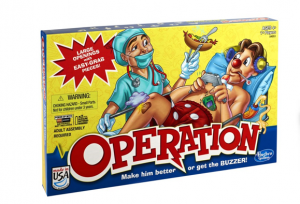 This is a great game for the older kids, teenagers, and adults! 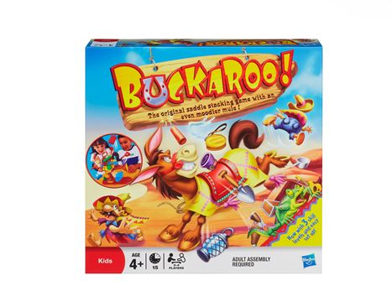 A team game which means that this can be a great game to take out around Christmas time to play with family and friends. It is perfect for the child/teenage who is working on their expressive language; building their vocabulary or especially those practicing adding descriptive words to sentences. 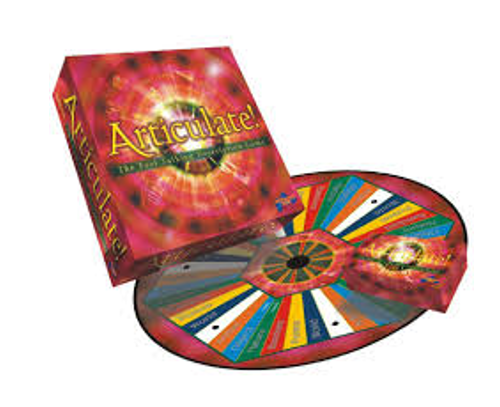 Allows us to work on language in a fun and interactive way; a task in itself which can be tricky to do with teenagers. Remember that many games or toys can be adapted to build on your child’s speech and/or language skills. All you need is a little imagination. Keep your ‘goals’ in mind while you play and keep introducing new words and emphasising the important ones.